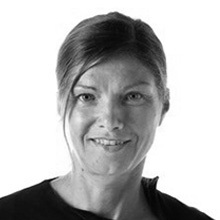 Dr Katja Fleischmann is an experienced academic, researcher and designer with extensive knowledge of global and national issues driving the design profession. Having worked in the US, Europe and UK as interactive media designer and design educator and now Australia, she is well placed to contribute to the discourse around global movements in the design industry.Katja holds a PhD (JCU, 2012), a Master of Fine Arts (Multimedia) from the University of Miami (USA) and a Bachelor in Communication Design (Germany). Her research centres around two often interlinking areas, the role of design in social, public and economic innovation, and the future of design education. Katja has received international recognition for her work as designer and national recognition from the Australian Learning and Teaching Council for her curriculum design work as design educator.Katja works currently on several research projects which include a study on the extent to which design methods (such as co-creation and design thinking) drive social change in the tropics; a collaborative study on building economic development in Northern Australia through creative industries; and research on the transition of design education (studio-based learning) to an online learning environment. 2014 – Citation for Outstanding Contribution to Student Learning, JCU. 2010 – Research Excellence Award: The Most Promising Early Career Researcher, James Cook University. 2009 – Citation for Outstanding Contribution to Student Learning, Australian Learning and Teaching Council (ALTC). 2009 – Citation for Outstanding Contribution to Student Learning, JCU.